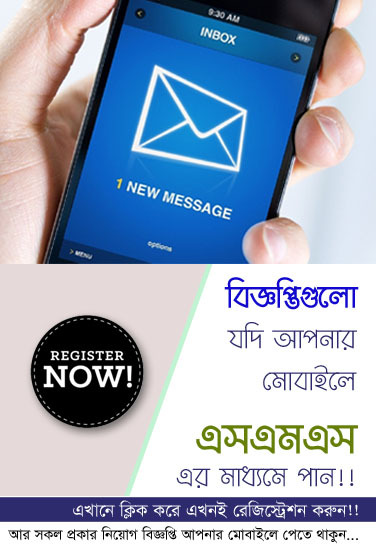 Recently Bangladesh police said an emergency message on its official Facebook page. It is said that the recruitment process will be postponed till published further notice on the authority. The official status of the police in Bangladesh was published at 7:30 pm on Thursday 12 January 2018 in the official Facebook page. The District wise recruitment process was scheduled to start from 16 January 2018 in the meantime, the recruitment process was stopped on 21 December 2017, a circular was published to appoint 10,000 trainee recruit constables (TRC) that was signed and granted on 19 December 2017. In this notification the interested candidates will have to participate to check physical size, physical examination, written examination and oral examination. 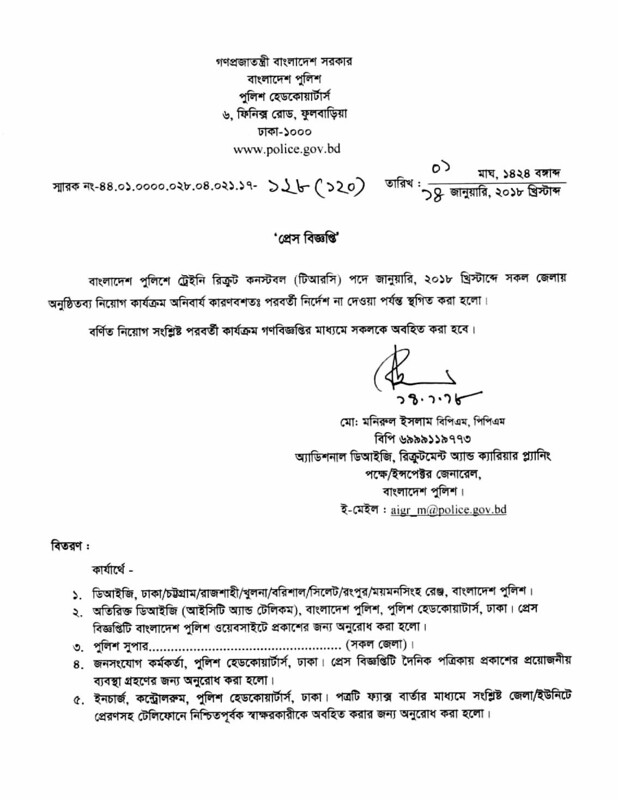 These examinations will be held on the district police lines. Physical size and physical examination were to be held from January 16 to January 28 in different areas of the country. After passing the test, it was scheduled to take written test from January 18 to 30. The result of written examination and verbal examination was between 24 and 31 January. The results of oral examination were to be published from January 24 to February 1. In the recruitment process for the Trainee Recruit Constable (TRC), there has been a call for not to engage in any financial transaction and to not be deceived. Bangladesh Police did not give any reason to suspend the recruitment process. An official (urged not to disclose the name) of the police headquarters, said that the Constable was appointed by the District Police Superintendent for so many years. But now it is controversial and thought of to change this process. Because, all allegation, corruption and nepotism are alleged locally by the police superintendent. Almost every time the transaction information is available and the image of the police is damaged. For this reason, senior officials of the police related recruitment system still not decided what to do in this process. The decision will be announced only after finalizing the decision about the recruitment process, the official said.